The cream contains gentle and natural active ingredients which guarantee high levels of care, whilst improving the condition and appearance of the skin. The specifically developed, nutrient-rich formula ensures long-lasting and deep hydration, eliminates any feelings of dryness and tightness, leaves the skin perfectly smooth, and delays aging processes. The light consistency and pleasant, delicate fragrance give a unique sense of comfort during application. 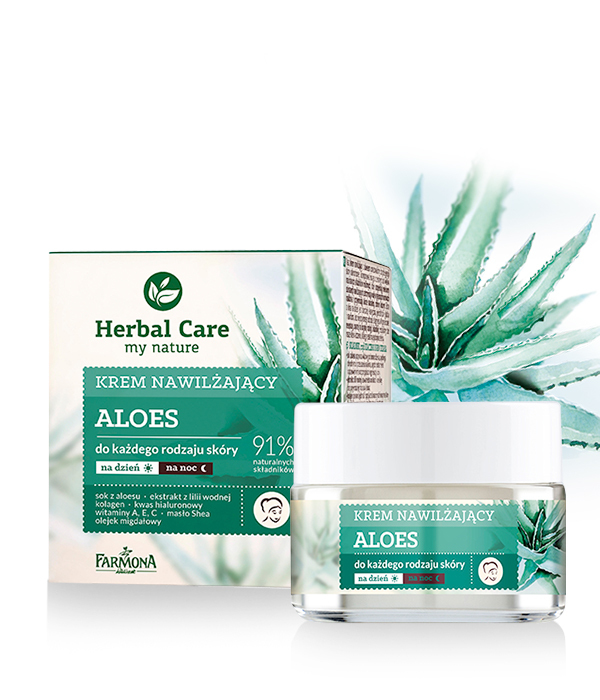 Aloe vera extract restores proper hydration levels of the skin, prevents dehydration and dryness of the epidermis, soothes irritations and signs of redness, and accelerates skin regeneration. Water lilies moisturize and soothe the skin, and restore its natural colour. Hyaluronic acid ensures powerful and long-lasting hydration, reducing the visibility of wrinkles and fine lines. Collagen improves the firmness and elasticity of the skin, shapes facial contours, and restores the complexion’s beautiful and youthful look. Shea butter – a natural UV filter which protects the skin against harmful external factors and effectively smoothes it. The cream’s formula has been enriched with inutec – a natural prebiotic which increases the efficiency of the other ingredients as well as having a beneficial effect on the condition of the skin, by protecting it from drying out and irritations. efficiently protected from the harmful effects of external factors and aging. Aloe extract, Water lily, Collagen, Hyaluronic acid, Collagen, Shea butter, Inutec.